Greetings again Backyard Birders – its me, Johnny Wren. Today I wanted to share with you a bit of info about the Birds in Backyards office and introduce you to some of the neighbours we have met this week. 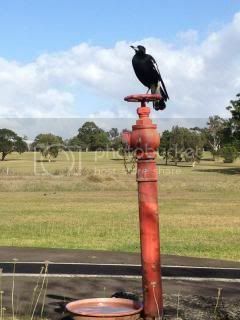 Holly, Dave and Liz work from the BirdLife Australia Discovery Centre which is in Newington Armory – ‘where’s that?’ you say? It’s a part of Sydney Olympic Park and is a bit of an untapped secret! It literally is the old armory – used for weapons storage until 1998, when it was closed in preparation of the 2000 Olympics. 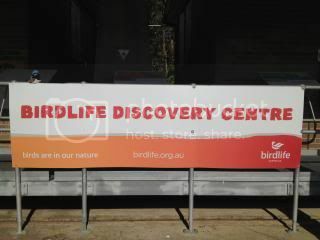 BirdLife Australia has a series of buildings here for educational activities and events as well as the office. 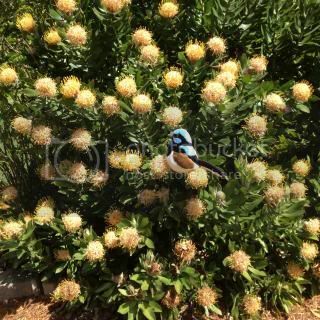 They are open on the weekend between 10 and 4 for visits – and at 10:30 on Saturdays, you can go on a walk with one of the fabulous volunteers to spot some birds – you might even find some fairy-wrens! Who did we meet this week? Well firstly we went along to Lakemba library for a craft afternoon with the local kids. Holly and a brilliant volunteer, Judy, showed the children all sorts of birdy bits and pieces including Mabel the Powerful Owl! Then they all got busy making their own nests out of tennis balls and coconut fibre adorned with bright feathers (see here for instructions). I have to say, these kids made even more impressive nests than we do! Whilst I was there watching, I didn’t get a chance for photos – Holly and Judy were just too busy to get out the camera! 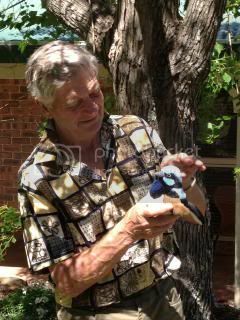 Finally this week we got to go along to a brilliant bird-friendly garden in Dural and meet an even more brilliant birder – John Clarke. John is talking part in the Galston Open Garden Weekend from the 18-20th of October. People can go along and wander through John's garden and then pick up some Birds in Backyards information to help them in their own space. It really is a fabulous place to inspire you and to see some birds. 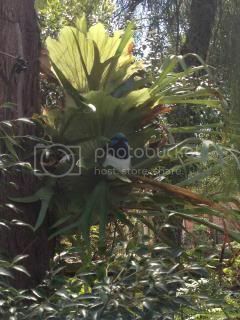 even shady spots amongst the 'birds nest' ferns! If you are in the Sydney area and have some time – check out John’s garden on that open weekend! There are details here. A big thanks to John for having us – he was a fabulous neighbour to meet! That’s all from me today (and from Holly) from a very sunny Sydney. Have a great weekend and I will be back next week with more neighbours to meet and more proof that the Superb Fairy-wren is the one to vote for in Bird Week! Greetings all - Johnny here, Johnny Wren. 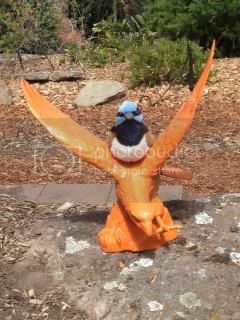 I know Holly, the Birds in Backyards Program Manager, and when she said that BirdLife Australia was having a vote for your favourite bird competition for Bird Week this year, I had to throw my hat in the ring. 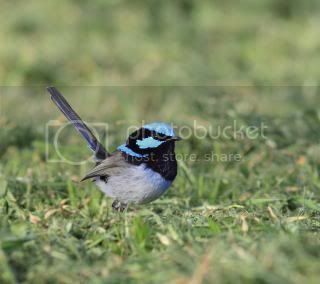 I am a Superb Fairy-wren (Malurus cyaneus). 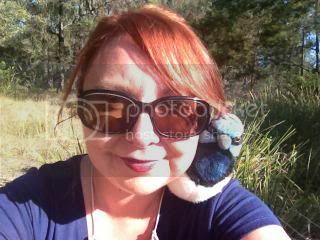 Admitedly, I am a little larger than you would normally expect (Superb Fairy-wrens usually weigh about 10g) but what can I say? I love my food! Over the next few weeks I am going to tell you a little bit more about my species and go on some big adventures. 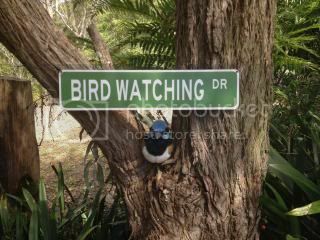 The theme of Bird Week is Meet the Neighbours so that is exactly what I am going to do! 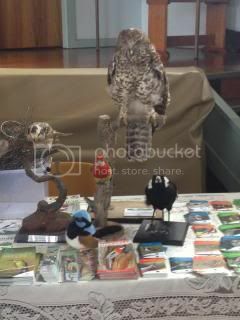 You will meet some of my human and birdy neighbours from around Holly's home and the office at the BirdLife Discovery Centre at Sydney Olympic Park. 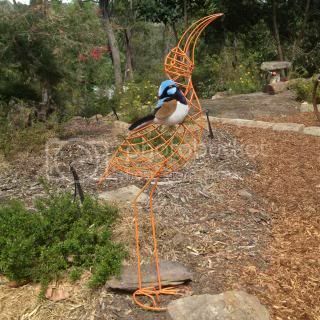 I will also give you some tips for making your gardens great for Superb Fairy-wrens and other small native birds. 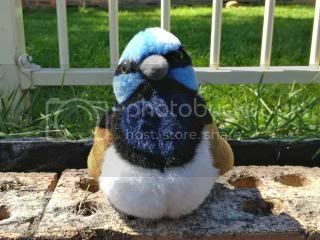 In return, you can go to the Australia's Favourite Bird website and vote for me - the Superb Fairy-wren, to take the prize (of course if you have a another favourite bird you can vote for that instead I guess). Whilst it is pretty clear to Holly and I that Fairy-wrens are awesome, it might not be so obvious to everyone else, so let me introduce you to the Fairy-wren family. 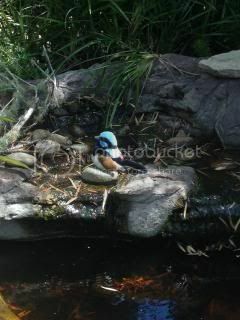 There are 9 species of Fairy-wrens found in Australia and all of us are small with pointing up tails. In all cases, there are clear differences between us males and our ladies - us boys got all the glamour! The men are all brightly coloured - some of us, like me (see below right) and the Splendid Fairy-wrens of WA, are brilliant blue and black, others like the Red-backed Fairy-wren have splashes of red and we even have one lot that is purple (the Purple-crowned Fairy-wren). Unfortunately the girls were not blessed with as colourful a wardrobe as us - they tend to come in various shades of brown (like the female Superb Fairy-wren on the left below) but I still think they are utterly gorgeous. And just to make it extra tricky for anyone watching us though - young fairy-wrens are also brown, so it is a challenge to tell the females apart from the youngsters. So reason number 1 to vote for Superb Fairy-wrens: We are all really really pretty! Fairy-wrens are found all over the country, but my species is found along eastern Australia - covering parts of Qld, NSW, Vic, SA and Tassie. 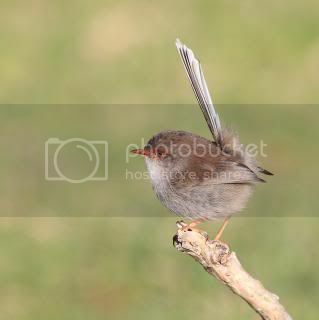 While we are not overly common birds (especially not as common as we used to be), we are the one member of the fairy-wren family that is more likely to tolerate people and so we can be seen in your parks and gardens. When you see us we will be happily hopping along the lawn or chattering between ourselves amongst the shrubs. 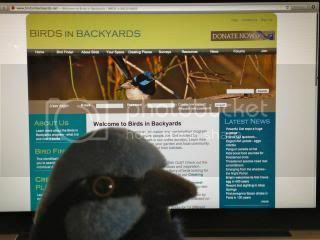 Reason number 2 to vote for Superb Fairy-wrens: We can and do live with people! I will be back soon to talk more about our living arrangements so stay tuned - and don't forget to go to Australia's Favourite Bird to vote!